Since 2005 I am working in the semi-arid massif of Sierra Nevada, in southern Iberian Peninsula. 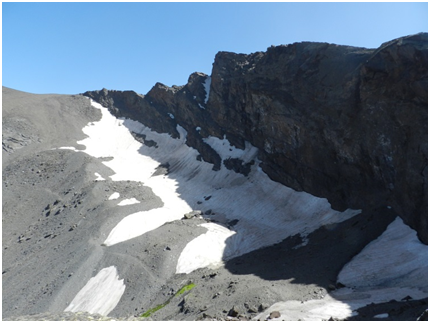 My PhD was focused on the reconstruction of the Holocene environmental evolution in this massif based on the study of two sedimentary records: solifluction lobes and lake sediments. 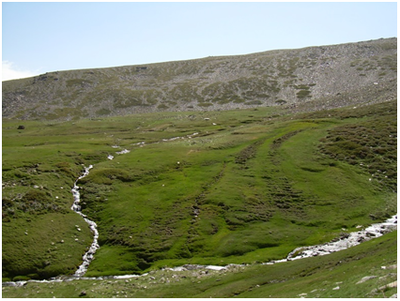 Sierra Nevada is probably the mountain area of the Iberian Peninsula better understood with respect to present and past cold-climate geomorphological processes. Within the Reseach Group “Paleoenvironments in the Mediterranean Mountains” we have also reconstructed the chronology of the deglaciation of the massif since the Last Glaciation, the formation of rock glaciers, the present dynamics of solifluction landforms and rock glaciers, soil temperatures, the degradation of permafrost anf fossil ice bodies, etc. We have also examined the management of the protected area in the National Park of Sierra Nevada and proposed new ideas to better preserve the natural heritage in this mountain environment.